If you’re looking for a way to make your home stand out, ImproveIT! of Atlanta is ready to help. We offer a variety of services that improve your roof and gutter system. Our highly trained professionals have the experience and expertise necessary to transform your home. 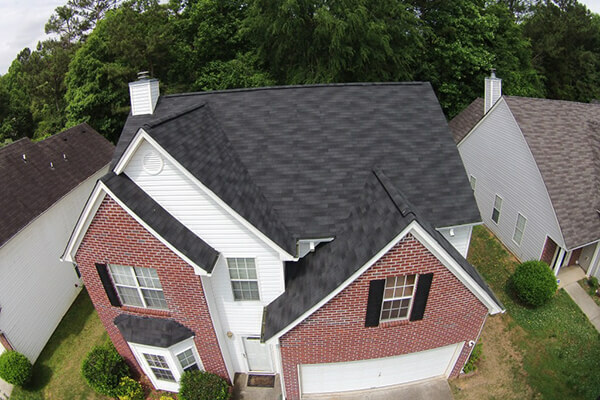 We provide top quality roofing in Lawrenceville, GA, and surrounding areas, especially if you need reroofing, replacement, or installation. Additionally, if you’re concerned about the condition of your roof, our inspections help you pinpoint problem areas; we also offer roof repairs for minor problems. We are committed to our customers, and every step of our repair and renovation process is designed to make sure you’re happy with the result. That’s why we always strive to be proactive, seek new opportunities for improvement, treat your property like we’d treat our own, and view problems as opportunities. We are certified professionals that put in the work necessary to ensure your satisfaction. We serve a variety of Georgia towns and cities, including Lawrenceville, Grayson, Dacula, Woodhaven Downs, Snellville, Arbor Trace, Lilburn, and Norcross. As a locally owned and operated business, we’re integrated into our community and want to build firm relationships with our clients and neighbors. If you’re ready to learn more about how we can help you improve your house, then call us today, or use our handy online form to contact us. We look forward to working with you.